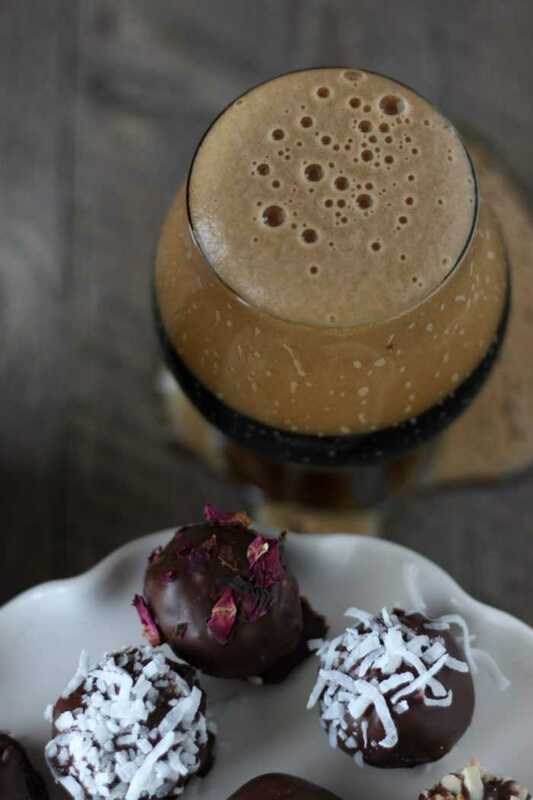 The main reason for these stout brownie pops was, as you may have guessed, the stout. Chris and I frequently taste stouts – being one of last year’ s most popular styles in the US, it seems that every tasting room we go to has a stout to offer, even if the brewery specializes in IPAs or lagers. The last shipment from our second beer club (thank you Lyndsey and Brad for the awesoooome gift) included a delicious, rich stout. On the evening we received the package we shared a 12 oz bottle, because The Ipswich Ale Brewery Oatmeal Stout is the kind of ale that you savor. Slowly, sip by sip and in full awareness that you need nothing else for desert. It is perfectly enough. You also do not need to drink a whole lot of it to fully enjoy the chocolate hints and smooth coffee notes. We don’t make deserts that often, we could go for weeks without eating any and if we order a desert when eating out, it is usually as a treat for our son. Or because they have tiramisu on the menu. But while sipping that stout we talked about deserts and agreed that if it were to be incorporated into one, it better be just as rich and come in small bites. The process entails baking a brownie using a stout as the liquid in the batter, trying not to eat the whole thing, making a cream cheese and stout sauce, adding some crunch by way of crushed almond slivers (totally optional), forming bite sized pops to dip in melted chocolate, decorating them and letting them set in the fridge. Quite a few steps, true, but nothing complicated. My favorite part was by far the decorating step, since I got to use these dry red rose petals we had in the pantry. 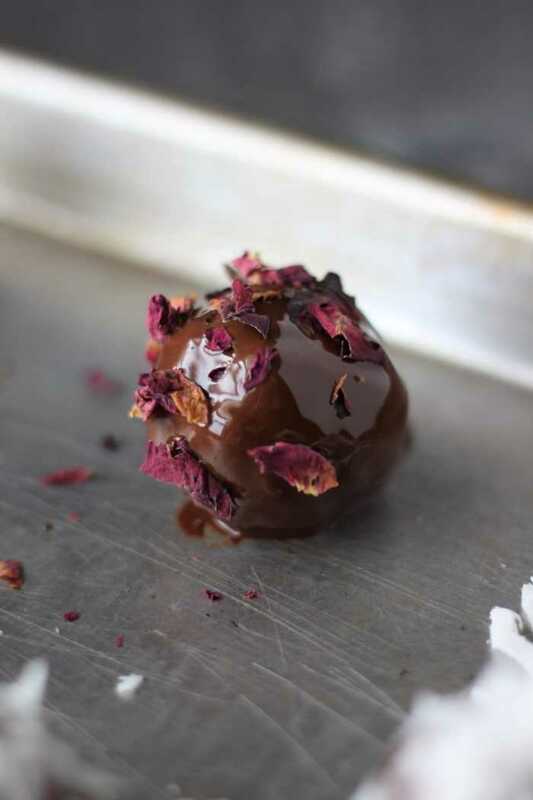 This was the very first time in my life to use/eat rose petals. One of Chris’ talented former colleagues spent a few months perfecting the culinary arts in South Korea last summer. She brought us some amazing dried herbs and spices, among which the rose petals. Thanks Ashley! They are delicate both appearance and flavor wise and sooo beautiful as a decorative touch. Now I have to tell you about the mess. There was a small mess, of which I took a picture and a huge one, which nearly brought to me tears and ended the picture taking. Oh well, that’s what happens when you are a rookie. After the decorated pops had set I arranged some of them as a cute bouquet next to the cake stand. Opened another stout and started looking for a good angle. A few pictures in, the stout started losing its head, so I decided to give it a quick stir with one of the pop sticks. Clearly, I gave it one stir too many. I cleaned up, rearranged everything and not even a minute later, managed to knock down the backboard of my make shift ‘set’. It fell on the glass of beer and the bottle containing the bouquet of stout brownie pops. The beer spilled all over the cake stand and the bottle fell on the floor, smashing the pretty and perfectly delicious pops! I just stood there amazed at how much good beer and desert was lying all over the place! You will be happy to know that the first thing I did when I finally did move was get myself a clean glass and pour a new beer inside. I then ate two pops and drank about half of the beer. This act caused me to peacefully accept that the perfect shot was not going to materialize. But as long as I was eating the perfect stout brownie pops and sipping on a great ale I had little to complain about. Stout brownie core and a chocolate mantle. Pair with a stout or a porter. Start by warming up the stout over medium heat for about 5 min. Set aside. Using a hand mixer cream together melted butter, sugar and beaten egg. Add cocoa powder, flour and salt. Mix well. Add 1 cup beer and mix again. Transfer mixture into lined loaf pan and bake for 35 minutes. When done let cool off. Crumble the brownie in a large bowl and set aside. Using a hand mixer beat together cream cheese, 2 tbsp of stout and the confectioners sugar. 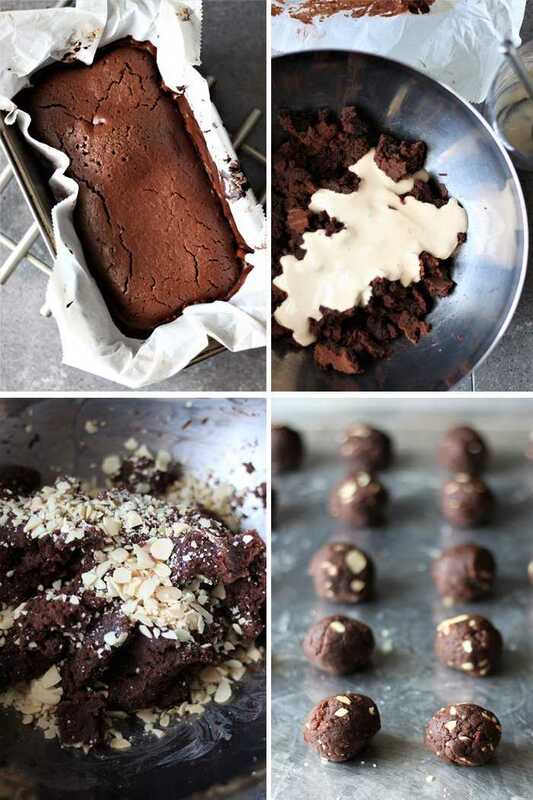 Add the sauce to the crumbled brownie and if using, add the crushed nuts. Using your clean hands, form a dough and shape small, bite sized balls. Arrange them on baking sheets and place inside refrigerator to firm up. Meanwhile, melt the chocolate chips with 2 tbsp of coconut oil or vegetable oil. Melt it by placing the chips and oil into a glass bowl and set the bowl inside a pan with simmering water. Stir until you have a smooth chocolaty mixture. 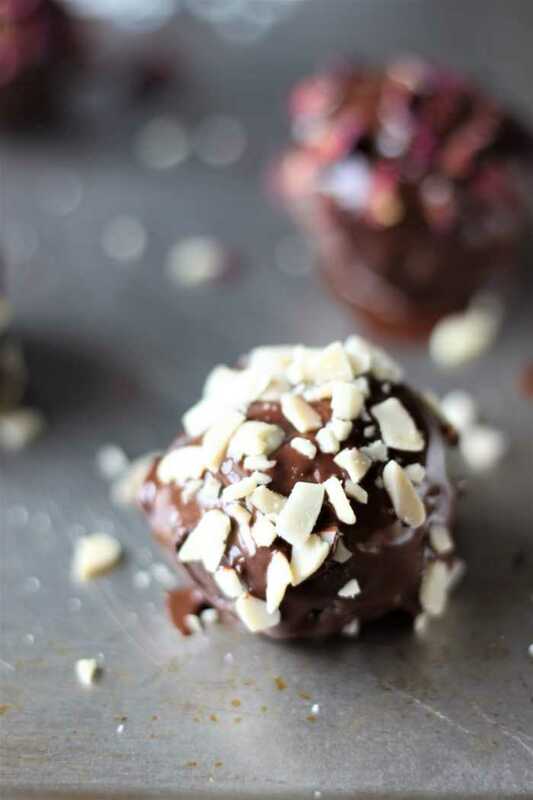 Working one pop ball at a time, place on pop stick and dip into melted chocolate. Slowly turn for any excess chocolate to drip and place onto a sheet pan (Silpat lined will make your life easier). Sprinkle or dust with your choice of nuts or confectionery. Place in refrigerator for about 30 minutes or until chocolate has set. 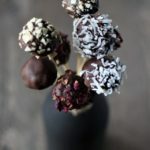 These are awesome Brownie Pops! Thanks so much for sharing your post with us at Full Plate Thursday and have a great weekend! Wow! I love the creativity here! Your photos are so inviting and I love the use of coconut shavings and rose petals… So beautiful!